Onyx was founded by Richard Sadler and Elizabeth Cook, a unique partnership in the industry. Richard’s 30 years in construction perfectly complements Elizabeth’s distinctive design style gained from her earlier career at Candy & Candy. Richard Sadler has had a structured approach to design, construction and the management of luxury developments across prime London for close to 20 years. ​Over this time, Richard has designed and built projects for high profile clients who continue to commission Richard’s expertise for their current residential projects. 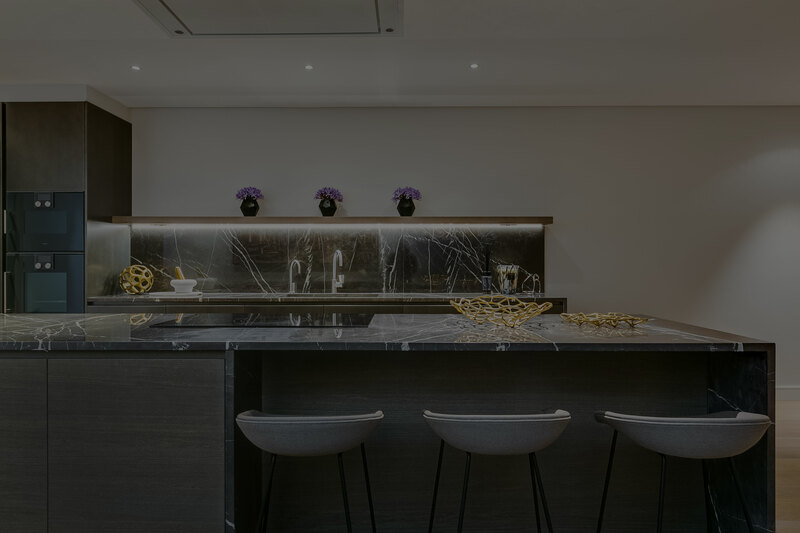 Elizabeth Cook trained as an architect for seven years, before joining Candy & Candy as a designer working on highly prestigious projects around the world, including multiple apartments within One Hyde Park, Knightsbridge. Elizabeth has continued to collaborate with prominent designers within the capital, successfully completing projects within the residential and development market. Richard’s and Elizabeth’s extensive network, wealth of knowledge and meticulous planning ensure projects are delivered with flair and creativity and a meticulous attention to detail from the architectural designs to the finer accessories. create truly unique properties for Onyx’s clientele. Our reputation has been built over the years, as we continue to deliver high-end residential and commercial developments from Swimming Pools, Home Cinemas, Gymnasiums and Wine Cellars to complex multi-level designs. Our construction portfolio is primarily focused on difficult excavations, basements, extensions and interior fit-outs with a renowned specialism in the central London area. Onyx provides a full project management service, with a team of highly experienced professionals with a wealth of knowledge of the construction industry. The project manager provides continual co-ordination, supervision and inspection throughout the design and construction phase. This expertise is a fundamental part of the process, which ensures we implement the design intent and specifications on all of our projects. The architectural team’s expertise encompasses all aspects of the design process from planning to complex construction techniques and detailing. Our wealth of experience is brought to all projects, with a focus on form and function combined with seamless detail and quality. Expert at undertaking the coordination of mechanical services and structural aspects of a project, the team continues to deliver luxurious residences within the capital. Onyx provides a tailored approach and seamless interior design service, with a commitment to the execution of our clients’ brief and wishes. With a distinctive design and client focus, the team continues to deliver truly unique and bespoke interior spaces from the joinery to the finer accessories.